Inexpensive DIY Costume Idea: Sharknado Coming Through! 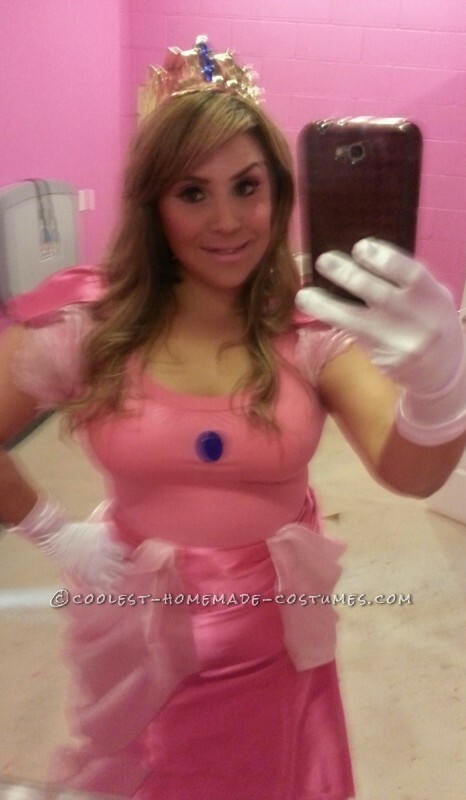 Hi, I made princess peach costume out of two prom dresses and a fitted tee I got at Savers. It came out to about $25. 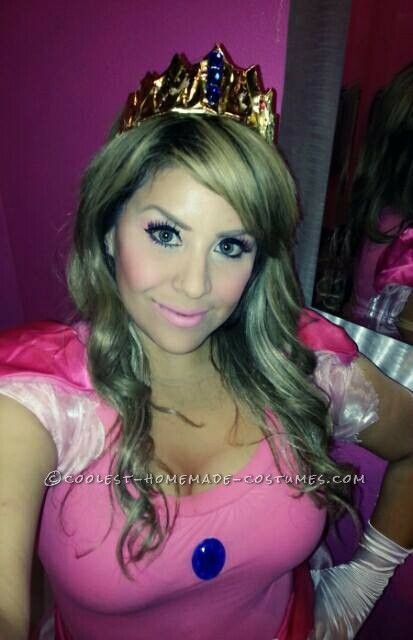 I cut the hot pink dress to make it like a skirt, with a hot glue gun I sealed around the wait line, then I cut some of the light pink dress in two long pieces I put them on the side of the skirt. Then I cut another light pink piece and put it on the back of the skirt. On the tee I hot glued a blue fake plastic jewel (dollar tree) then I cut the hot pink and light pink dresses and added material on the sleeves to make it look little puffy. Then I got a child’s plastic tiara (dollar tree store) and hot glued gold ribbon all around it (dollar tree store) and added some blue plastic jewels also . I grabbed some old small earrings and also hot glued a blue plastic jewel on each. 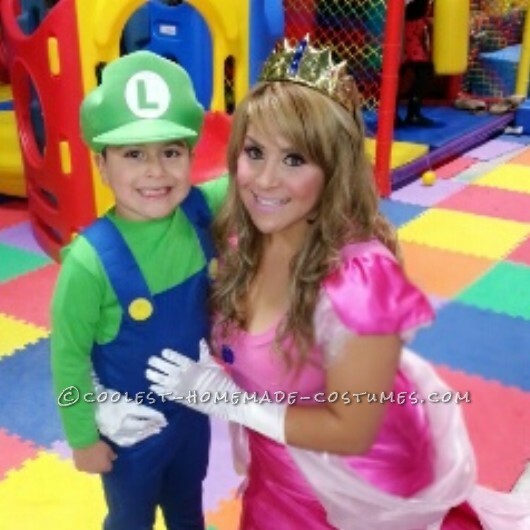 It was super mario fun at my nephew’s party I got a lot of compliments and most importantly my son loved it! Homemade costume idea posted by Erika R.